Apollo, Feb, 2009 near full fleece! Apollo's Victory came to us in 2007 and shows much promise as a herd sire... He had a smooth entry into the world; up on his feet within 20 minutes and nursing within one hour! His IgG level was positive as a result: 2200. 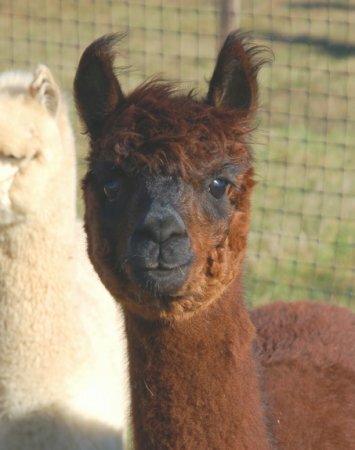 His fleece has been showing an increasing amount of luster and staple as he grows. 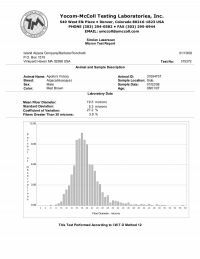 Note the histogram above, revealing 19.5 micron - very respectable for a darker colored animal! 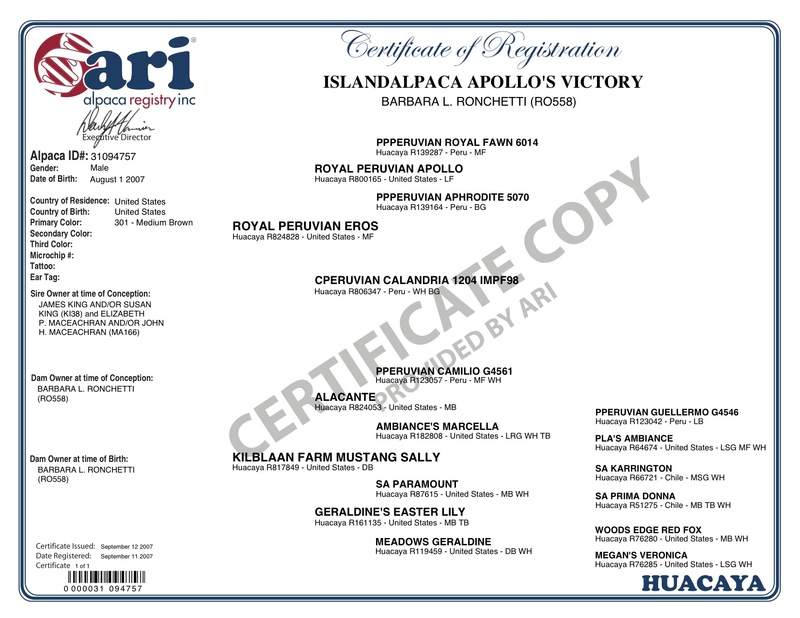 Apollo also has a very notable sire... Royal Peruvian Eros, with has lots of big names in his pedigree, including Royal Peruvian Apollo and Royal Fawn. 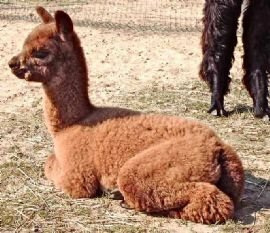 Island Alpaca would like to retain two future breedings. 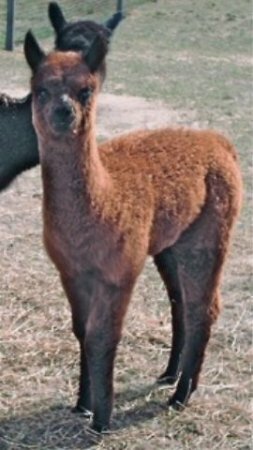 Royal Peruvian Eros is the son of Royal Peruvian Apollo and the grandson of Royal Fawn. He sports the incredible fleece characteristics of the illustrious parents. Eros has a tremendous number of blue ribbons to his credit. 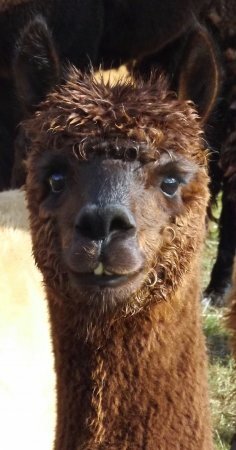 This son of Royal Peruvian Apollo and grandson of Royal Fawn carries the incredible fleece characteristics of his illustrious parents. Born in September 2000 he already has a number of blue ribbons to his credit. 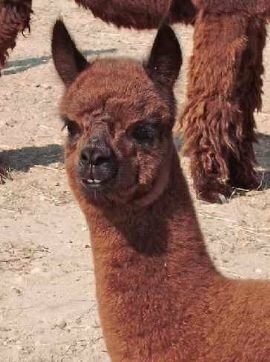 His first crias are on the ground and are spectacular. More to come this summer. 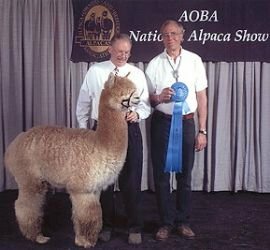 At the 2005 Big E, his crias were brown color champion, fawn color champion, best bred and owned male yearling, best bred and owned female yearling, and he won get of sire.